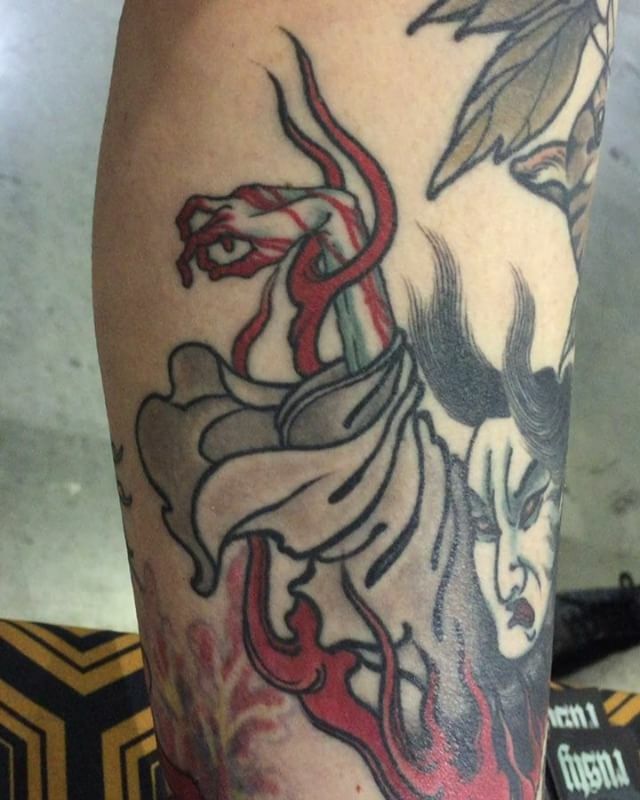 Great to see this yūrei from the @lighthousetattoo_flash_wknd all healed and crisp in the skin. Thanks @eddylou for stopping by our booth at the @austattooexpo just past to show me the healed product. New painting commenced. All brush work.